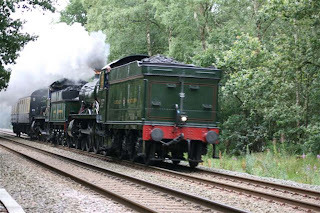 Couple of shots of 4936 Kinlet Hall and 4965 Rood Ashton Hall working 5Z90 10:30 Tyseley Steam Trust to Bescot. The Halls then worked the second leg of Steam Dreams 'The Cathedrals Express' from Bescot to Chester and back. 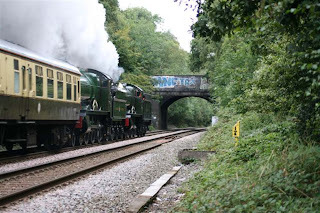 Here they are passing Streetly Gate running early. Hellfire pix again. Double kettles are sure rare round here which makes them shots even better. I still love being at work !